IOS App Developer: Caribu Inc. 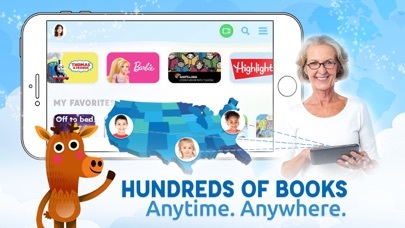 I love that this app allows me to have story time with my grandkids that live 4 states away. If their attention wanes they can color a picture. It’s fun and easy to use. Reading to my grandson is important to me, and the book selection is terrific. Looking forward to many years of Caribu-ing. Caribu has been life-changing for our family. We love that the grandparents can stay connected and read bedtime stories to the kids, while seeing them in real-time. 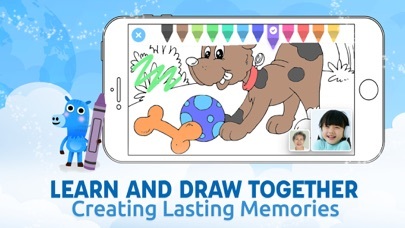 It's so easy for everyone to use, and keeps the kids entertained while we are cooking dinner at night too. Highly recommended for families on-the-go, and parents who are not always at home when bedtime comes around. This is horrible. Far too complicated for a Gramma to use and impossible for a 3.5 year old. Still not sold on the updates. For a higher priced subscription model, I wish the product was more reliable. You think they’d have better funding to employ a qualified team of engineers to maintain this almost decently executed idea. Calling issues and freezing app bugs still prevail. After a month of spotty usability and unstable features, I’m likely cancelling my subscription before the billing cycle renews. I really had higher expectations for $9/month. Kind of disappointing. FaceTime is great but our small kids QUICKLY lose attention. Reading books with grandparents is awesome! App is AWESOME. 5 Stars. Only reason not 5 stars overall is lack of support for Android. Had to by my mother an old iPad which significantly ups price. But still worth the investment for faraway relatives. What a great app! 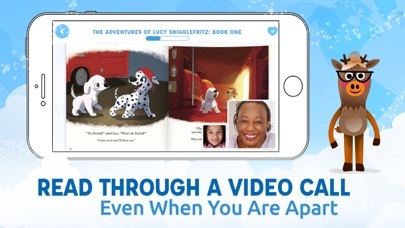 My husband (deployed overseas) just got to read a bedtime story to our kids in an interactive way: it’s like Skype or FaceTime, both they and he can turn pages, and there are a ton of books to choose from including Usborne books (we love those). 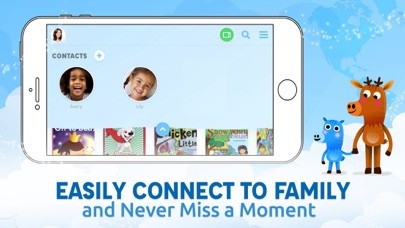 Really love reading along w/ our cousins on Caribu app! Living in a different state makes it quite hard to spend time with any of our younger family and Caribu definitely bridges that gap! More IOS Apps by Caribu Inc.